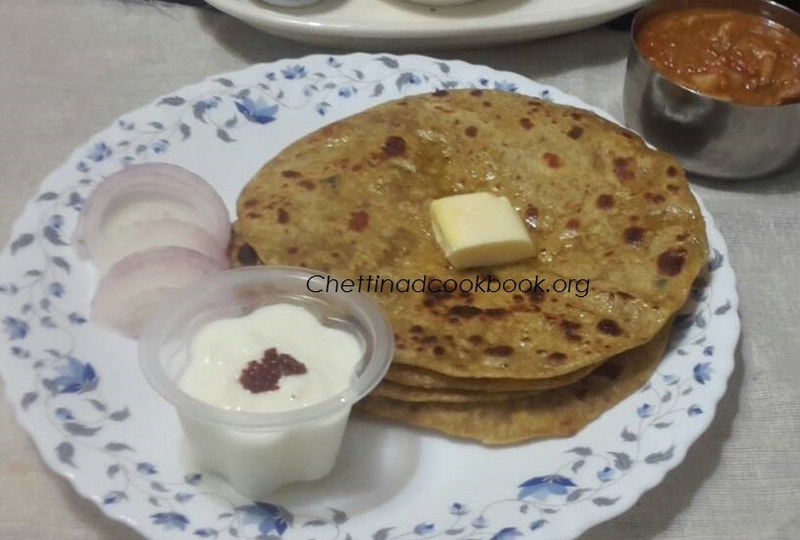 Indian staple food is paratha, roti and chapathi. We need variety of side dishes, stuffing and flavours to enhance the taste of this to consume in regular basis. Sweet corn is a special maize variety in which its tender, delicious kernels eaten as a vegetable. Boiled kernels are an excellent accompaniment in salads, pizza, pasta, risotto, stews, omelets, fried-rice, rice pulav, etc. Yellow variety corn has significant levels of phenolic flavonoid pigment antioxidants such as ß-carotenes, and lutein, xanthins and cryptoxanthin pigments along with vitamin A. These are required for maintaining healthy mucus membranes, skin and vision. Consumption of natural foods rich in flavonoids help protect from lung and oral cavity cancers. Corn is a good source of phenolic flavonoid antioxidant, ferulic acid. Several research studies suggest that ferulic acid plays vital role in preventing cancers, aging, and inflammation in humans. Further, it contains healthy amounts of some important minerals like zinc, magnesium, copper, iron, and manganese. 1. 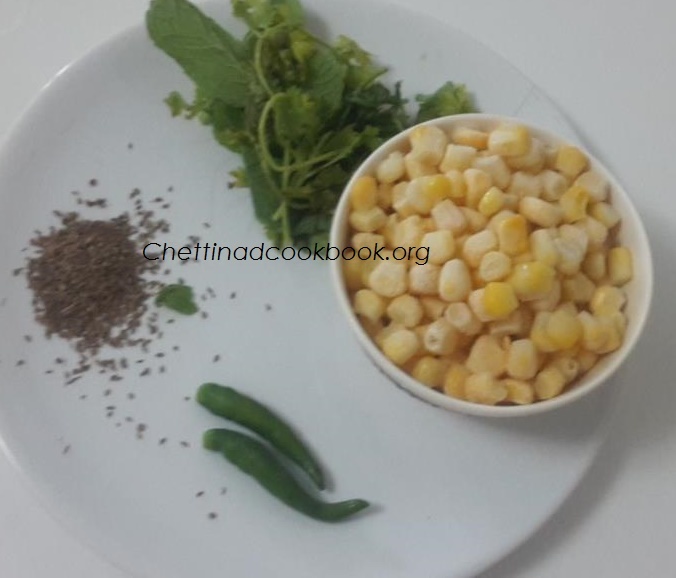 Take mixer add corn kernels,ajwai,green chilli,and coriander leaves coarse grind the ingredients. Note: If you are using corn cobs grate it and finely chop other ingredients. 2. 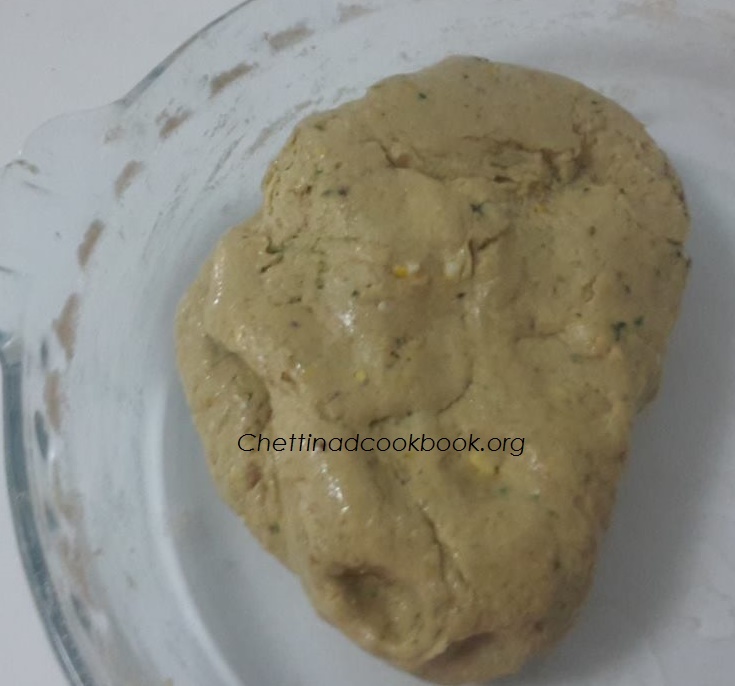 Take wide bowl add wheat flour, salt and coarse ground ingredients, mix it by adding water gradually as we do for normal roti. 3. Batter should be soft and non sticky, add a teaspoon of oil mix it well and set aside for 30 minutes. 4. 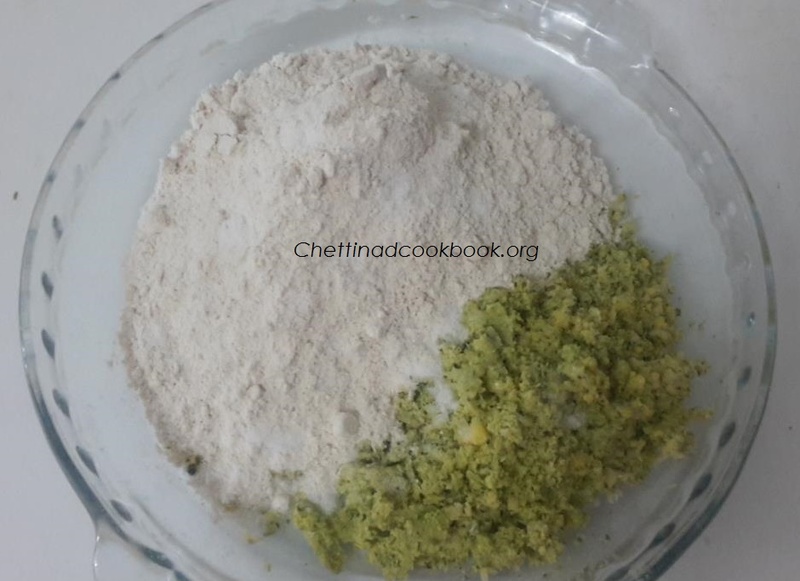 Divide the batter to a lemon sized balls, roll it to a 6 inch thin round by dusting dry wheat flour. 5. 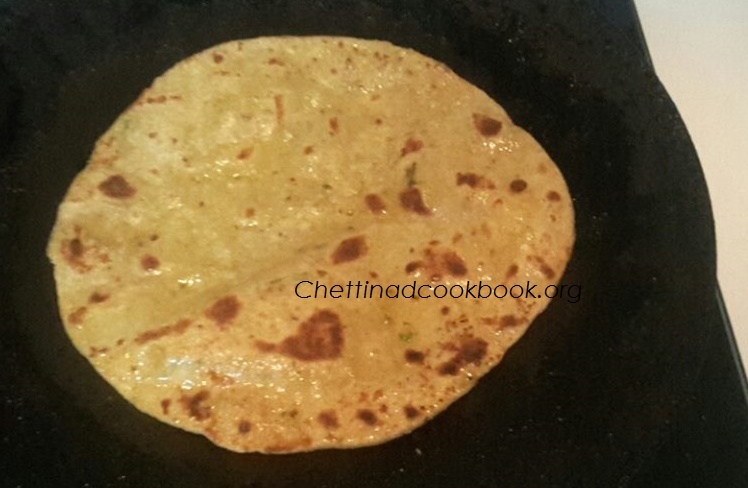 Heat tawa and cook, turn and smear some oil around,toast both the side by gently pressing on it till it you notice brown spots on it.